The Excitements are back, not like they were gone anyway! April and May will see the band touring great festivals and clubs around Europe. 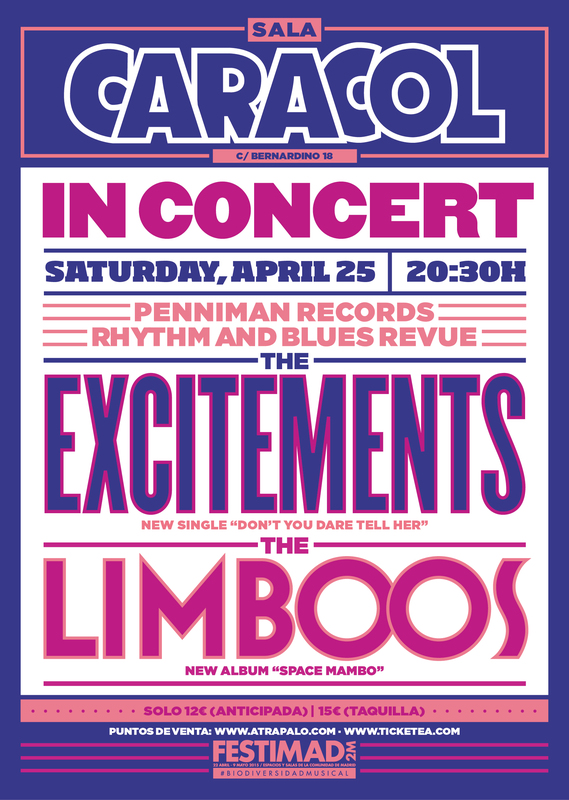 First and foremost, after a very special night at the Apolo last January with the debut of our Penniman Records R&B Revue featuring THE EXCITEMENTS and THE LIMBOOS, we’ll repeat that great experience in Madrid! Also, we are so pleased to travel Spain, France and Belgium again, meeting old and new friends, so check your nearest town and come down with us!